It's a quiet morning in the library until a little girl roars out of control! 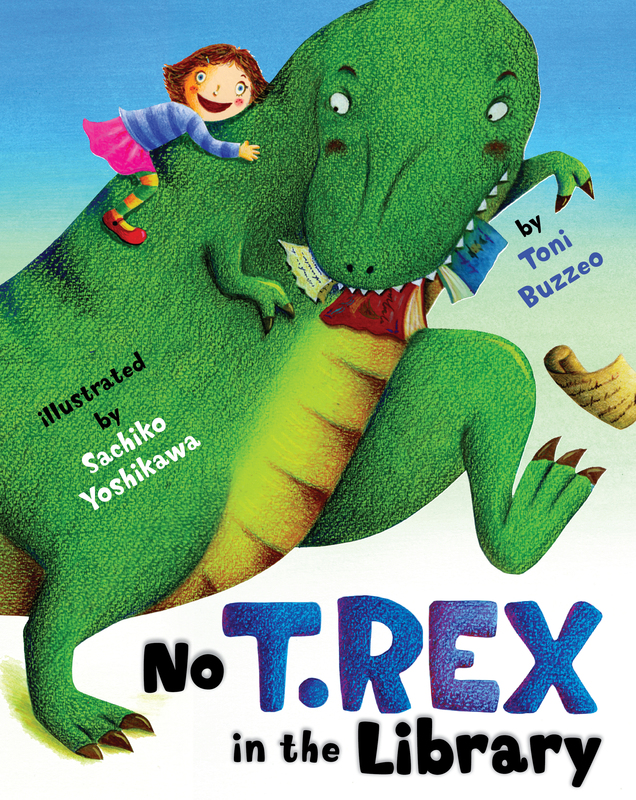 Tess resigns herself to a time-out, but finds that she must be the one who has to maintain order when T. Rex leaps from the pages of a book into real life. Books scatter, knights clatter, and a pirate brandishes a sword as T. Rex leads the charge to the stars. Will Tess be able to get this T. Rex under control? And will the library ever be the same?